Think of a wildfire that quickly spreads as it increases in speed and power—that’s what is happening today as data growth increases the volume and management complexity of backup and recovery. Now think of trying to stop that fire with a garden hose. 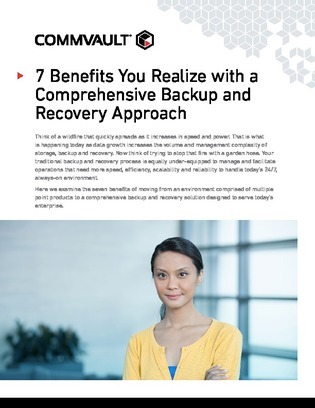 Traditional backup and recovery processes are equally under-equipped to manage and facilitate operations that need more speed, efficiency, scalability, and reliability to handle today’s 24/7, always-on environment.